Some survey made a proof that more than 50% of British teens thought Sherlock Holmes was a real person. Description : Some survey made a proof that more than 50% of British teens thought Sherlock Holmes was a real person. 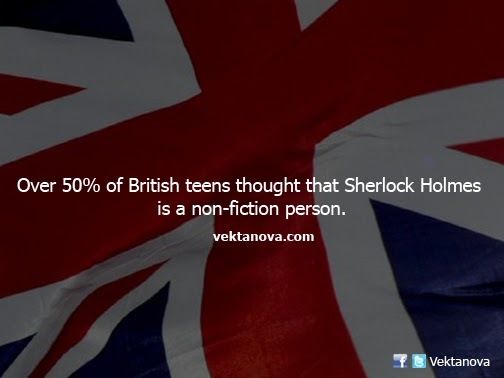 No response yet to "Over 50% of British Teens Thought that Sherlock Holmes was Non-Fiction Person"